Most late-model street vehicles use an internal hydraulic clutch release bearing, sometimes called a concentric slave cylinder (CSC). Yet, unfathomably, many of them suffer from clutch engagement high on the pedal travel. For most drivers, this is not comfortable. 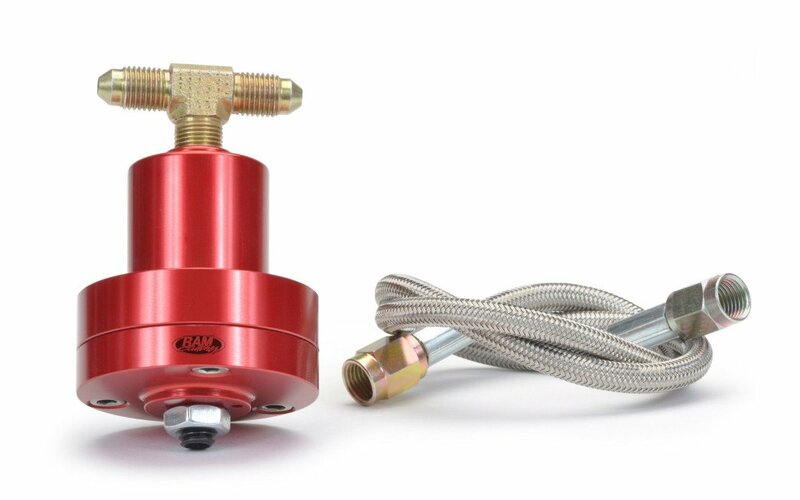 Conveniently, Ram Clutches has introduced a pedal-height adjuster, which is situated inline between the hydraulic master cylinder and the slave cylinder. It is in effect, an accumulator in which a piston and spring are housed. When the adjustment screw is turned in to its fullest extent, the piston cannot move and the adjuster is bypassed. In fact, this is the condition in which the system should be re-bled. 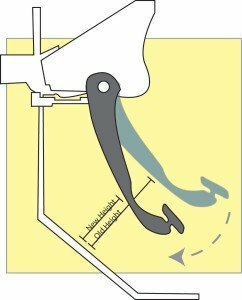 As the adjustment screw is turned out and the pedal depressed, the fluid flows into the adjuster and pushes the piston back. Once the cylinder is full, the remaining fluid is routed to the hydraulic bearing. This essentially introduces free-play to the pedal travel and lowers the point where the clutch engages, allowing the driver to adjust the pedal to the most comfortable driving position. A lower pedal also quickens clutch response. A bonus feature of this adjuster is its ability to control the travel distance of the release bearing. This prevents over-travel of the clutch fingers, which can lead to clutch malfunction at higher engine RPM. Also worth noting, original equipment manufacturers use pre-loaded release bearings that are in constant contact with the clutch’s diaphragm fingers while competition-style bearing makers do not. 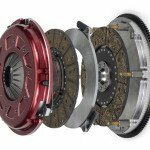 By contrast they seek maximum clutch clamping force and, therefore, require some free-play between the clutch release bearing and the fingers. Further free play is needed to compensate for wear as the fingers move gradually toward the bearing. 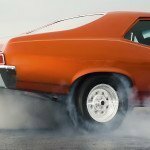 Then, controlling the amount the bearing moves on its sleeve is another consideration—if it moves too far it will collide with the circlip on the end of the piston sleeve—not far enough and it won’t disengage the clutch. Ram’s pedal-height adjuster is aimed at simplifying the process and ensuring the success of the competition clutch. I own a 2005 SRT 10 Dodge pickup truck. I would like to put one of your pedal- height adjusters on my truck. Please advise the details and cost. Do you provide a clutch Assembly for a 2005 SRT 10 Dodge Ram, if not do you know of anyone who makes a such system. This seems to be the result of the clutch wearing. As the disc gets thinner, the fingers move back and thus the pedal engagement point moves up. 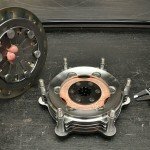 Tough NMRA classes beg the question: What is a good clutch? Hydraulic release bearings: operating with the correct gap. 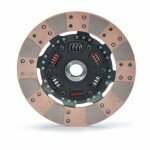 Why introduce metallic-sintered materials to a regular clutch assemblies?